It was a really special day with an incredibly safe and friendly vibe everywhere. The park was beautiful, the weather held out right until the end (an enormous thunder storm soon followed!) and what's more, we had the privilege of working with the superb djembe player Sidiki Dembele. 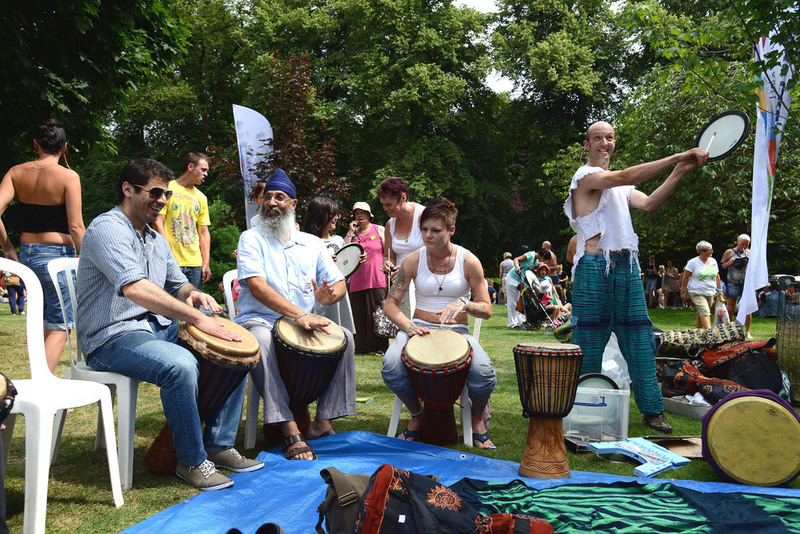 People of all ages and backgrounds gathered on the grass to join in and play on the djembe and hand percussion. After an initial performance on stage, our team decided the play an acoustic gig on the grass with the festival punters keeping a beat! This really brought the crowd in and pretty soon the drum circle had its on 'festival fuelled' momentum. Special thanks to Adam Bailey, Jamie Riley and his team and Sidiki Dembele and a very special thanks to Leigh Anderson from The Cooperative Membership. 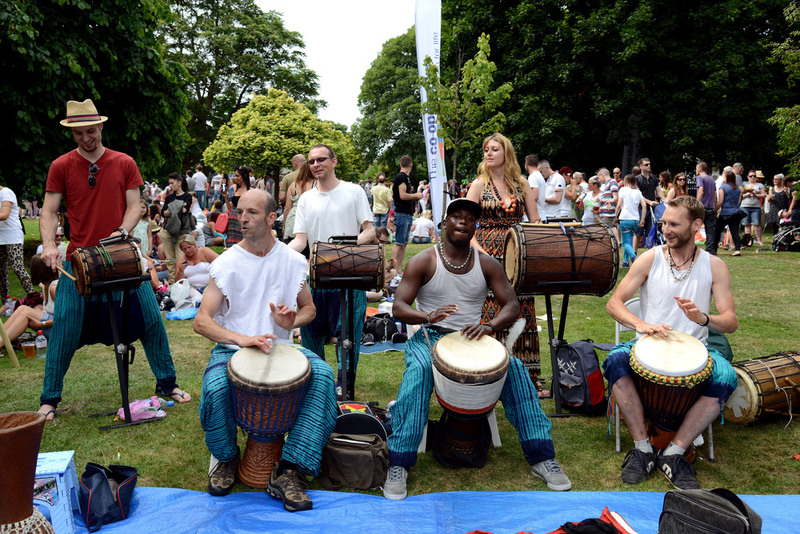 African Drumming performances and workshops are the prefect way to create a great vibe and a fantastic buzz at a festival! It brings people of all ages and backgrounds together because it is so easy to take part and feel included.